The classic letter opener will have an elaborate, shining finish performed entirely by quality electroplating, with an ingenuity, vigilance, and respect few other firms can replicate – which is why Lungsal stands unmatched in its field. It’s a standard of excellence that is embodied in Lungsal’s letter openers, the benchmark applied to all electroplated blades that guarantees the company’s quality criteria – the strictest in the promotional products market – have been met. 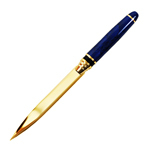 Every single detail is taken into account to achieve the best conceivable result. All elements of a letter opener (including the blade, the handle material and texture, electroplating, engraving) are immaculately finished. 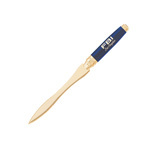 Methods range from accurate timing for electroplating and focused polishing to the personalized laser engraving, or the oxidization process that results in the traditional, time-honored black engraved logo (“oxidization black”). 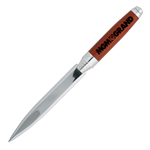 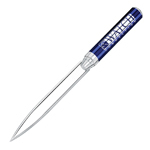 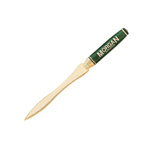 These deft procedures make custom letter openers the most time-and labor-intensive part of the promotional pen gift set.